Buying caravan insurance has never been so easy, with our vast selection of caravan cover options through our panel of insurance providers, we are sure we will have a policy to accommodate your needs and caravan passions! Our user-friendly online policy purchase process means you can source information and peruse the various insurance covers available at a touch of a button. Our prices shouldn't be missed, so why not go ahead and get a quote today! Purchasing a caravan can be a huge financial investment, so being sure that you are fully protected in the event of the unknown is ever more important. Whether you're planning an extended road trip and require that invaluable peace of mind that you will be looked after should an unfortunate situation occur, or if you simply want to know that your caravan is well protected at home or in storage in-between trips, we can take that pressure off you. 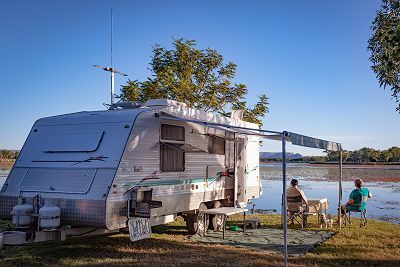 With our vast selection of caravan insurance cover options, we are sure we will have a policy to accommodate your needs and caravanning passions. Our user-friendly online policy purchase path means you can source information and peruse the various insurance covers available at a touch of a button. Our great prices shouldn't be missed, so why not go ahead and get a quote today! Insuring your caravan has never been so easy!